Although William Barlow was married three times he only fathered children to his first wife Eliza Sutor as far as I know. During the time he was posted in Scotland in the Royal Artillery he met and married Eliza and they had 7 children, however the first three, all boys, died whilst still young. William Sutor Barlow, born 29th Dec 1826 in Woolwich, Kent and died 2nd April 1828, also in Woolwich. Thomas Barlow, born 15th Jan 1851 in Gibraltar and died 5th Oct 1843 in Scilly Isles. He was in care at the time as his father and siblings were back in England. Four children survived and lived to quite grand ages. born 18 May 1835 in Woolwich, Kent, England, William was the sole surviving son. He married Elizabeth COOLEY on the 29th of July 1862 at St John's Church of England in New Town, Hobart. They had a long and prosperous marriage (57 years) until William died on 28th December 1919. He was a publican and landlord for a time of his father-in-law's pub called Cooley's Hotel in Moonah, Tas. The first born daughter to William and Eliza was Margaret who was born on the 4th March 1837 during the time William was the army schoolmaster in the Scilly Isles. On the 17th June 1858 Margaret married a saddle maker called James Wiseman. 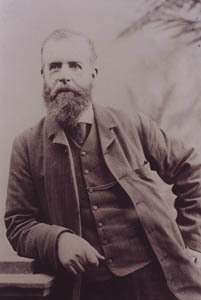 They lived for a short time in Bothwell, Central Tasmania where James had a business. 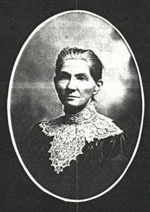 Margaret and her husband and young son John moved to Dunedin in New Zealand where they went on to have another twelve children. I have a fantastic family portrait of the entire family taken in 1885. The Wiseman family story has been written and is a most interesting tale in itself. A reference to the business James established is given in the Cyclopedia of NZ and in this blog. Exactly two years after Margaret's birth another daughter arrived in the Scilly Isles. 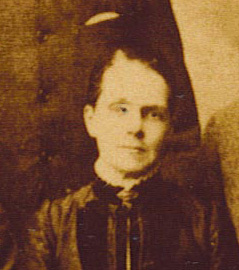 Mary was named after her paternal grandmother Mary Howarth. She travelled with her father and siblings from England to New Zealand and then on to Tasmania where she died on 4th June 1912 in the Hobart Homeopathic Hospital. On June 4th 1912 at Hobart, BARLOW Mary Howarth, in her 73rd year, formerly of Swansea, East Coast. Elizabeth was born on 28th September 1841 and was named after her mother and maternal grandmother Margaret Sutor. Sadly, her mother Eliza died just a week later and was buried in the Scilly Isles. Little Elizabeth moved around with her father, siblings and step mother, travelling to New Zealand and then back to England after she married a solder called William Geal. I have made contact with descendants of Elizabeth and have gathered substantial information which I will place here.